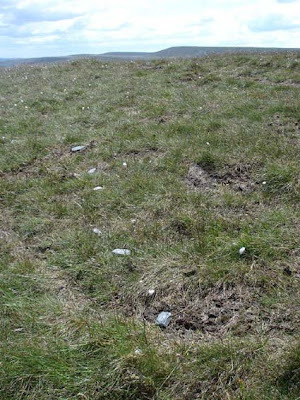 ‘Flower Scar’ is a ‘stone circle’ placed around the contour line of the summit of Flower Scar Hill, Todmorden Moor. 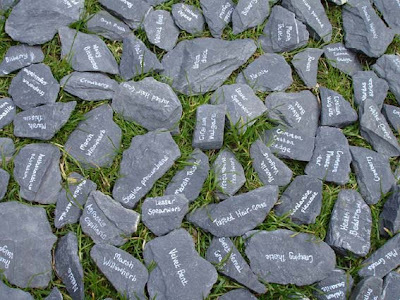 The circle is made up of 200 paddle stones and slate shards inscribed with the common names and Latin names of all of the plant species found in this area. The site for this artwork was chosen from an Ordnance Survey map, chosen because of the unusual name ‘Flower Scar’. ‘Scar’ conjures associations of an ugly mark that will remain forever and contrasts with ‘Flower’ – a thing of beauty and impermanence. 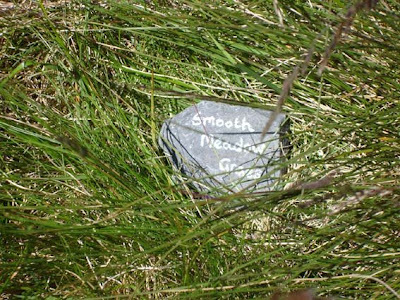 A Wildlife Survey of Todmorden Moor, undertaken by Charles Flynn in 2005, identifies 33 species of plants including the appropriately named ‘Self-Heal’, alongside Velvet-Bent, Soft-Rush, and Purple Moor Grass. 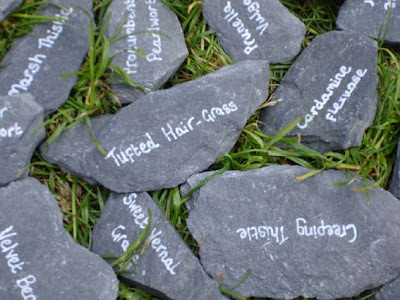 The names of all 33 species found here have been recorded on the stones in permanent white ink. The placed stones are a subtle intervention into the landscape that anyone walking on the hill may find. They may make the link between the inscription and the surroundings and may pick up a stone to keep. The hill summit is accessed from Flower Scar Road which cuts round the side of Flower Scar Hill before rejoining the main road. The road is an ancient highway that has been used as an East West route across the Pennines for over 2000 years. At its summit the hill reaches 435 meters and is a designated Urban Common. The circle was created on Sunday June 15th 2008 and the artist will visit the site sporadically to see how long it remains.